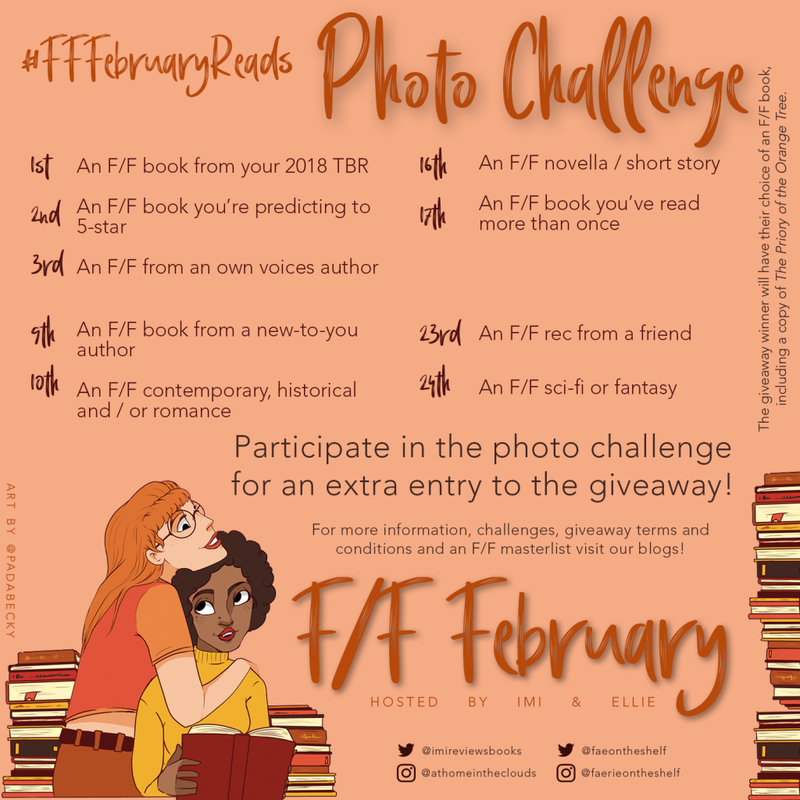 I am so excited for FFFebruaryReads to start tomorrow. 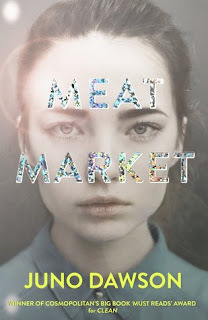 It is hosted by Imi Reviews Books and faerieontheshelf so head over to take a peek. So what will I be reading? 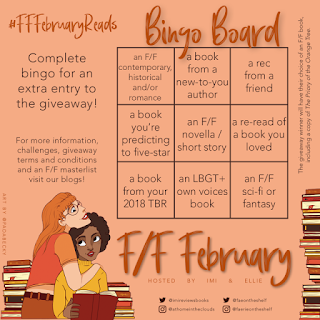 I already have some prior commitments of non FF books I have to read, but otherwise I'll be sticking to the above TBR! I'm a mood reader so I'm not setting it in stone and won't be reading them in order, and I've included two audiobooks for my walks to and from work.. I've also only put down seven books, as I still have to decide what my reread will be. I'm thinking maybe Romancing The Inventor by Gail Carriger, as I'm in a definite Romance mood. 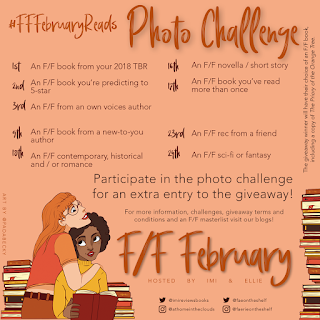 I'm also going to join in with the photo challenge, I like how it's not every day so I have some room and space to think, and I'll probably be stalking the hashtag looking for recommendations. 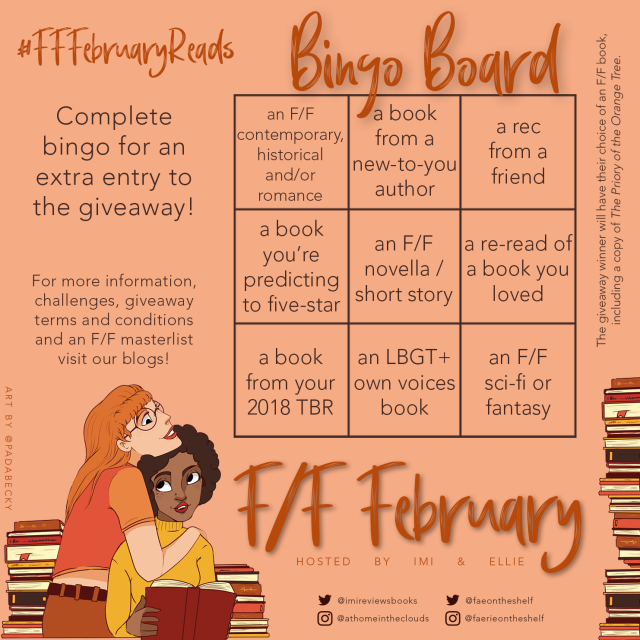 What's your favourite FF Read? Love this post! I think Evelyn Hugo was probably my favourite book of 2018. I hope you have a good time reading it. Ah! Good luck with the reading challenge! A lot of interesting books on your list! I would love to read The Colour Purple by Alice Walker. I hope you enjoy all of these! That's such a good TBR you put together! I'm definitely looking forward to your thoughts on the books! It's years since I read The Colour Purple but I loved it, tough but brilliantly written. Hope you like it too. Good luck with your reads!! Good luck with your reads! What a fantastic reading challenge! If I had more time I would have loved to take part! I've been looking sapphic reads, am I lucky or whaaaat! I am looking all of these titles up. And good luck with these TBR!